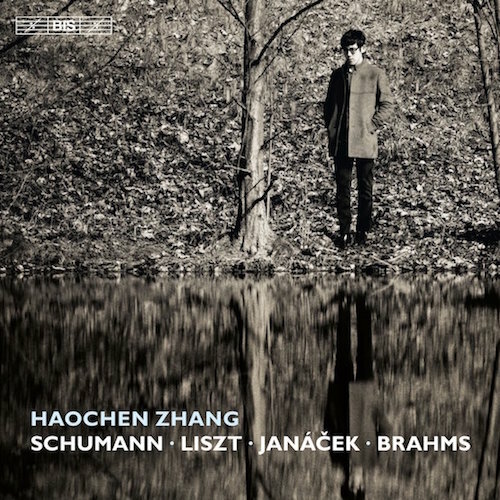 Luzerner Zeitung praised Haochen's performance last week at the Lucerne Festival saying it was "like a walk through dreamscapes" and that "his orchestral fortissimo is never exaggerated, his piano is of exquisite, chamber music beauty." Read more of the review here. Haochen's performance with the New West Symphony last weekend was met with great acclaim. VC Star applauds Haochen saying, "Zhang riveted the audience’s attention as he conveyed the essence of Liszt’s Piano Concerto No. 1 in E-flat Major with dazzling finger work that captured the zest of the concerto while not distracting from the composer’s elegant design of the compelling concerto. Zhang, who in 2009 became one of the youngest winners of the Van Cliburn International Piano Competition, is garnering attention as a pianist evolving into a musician who is fascinating and versatile while not venturing into exaggeration to demonstrate his skills." Haochen helped bring the California Symphony's season to a terrific close last week with Brahms's second piano concerto. Referring to Haochen as a "fiery piano virtuoso," San Francisco Chronicle proclaims, "He has keyboard technique for days, and he’s not hesitant about unleashing pyrotechnics when the music requires it. The furious passagework in the concerto’s first movement emerged in all its densely packed glory, and the scherzo-like second movement wanted nothing in the way of heavyweight fervor." Read more of the review here. Also read San Francisco Classical Voice's review here. Michael Miller of New York Arts highly praises Haochen as a "musician of extraordinary technical mastery and perception" in his review of Haochen's Carnegie Hall solo debut concert. Miller also adds Haochen's "Liszt proved both musical and highly virtuosic. The grand fortissimi were powerful and the more introverted moments properly subdued. Even at the loudest bars, he maintained a warm, pleasing tone." Read more from the review here. New York Classical Review praises Haochen's Carnegie Hall performance with the China NCPA Orchestra last weekend at Carnegie Hall saying "Zhang’s technique was exemplary, and he showed keen musical sense and a gorgeous touch." Haochen stepped in for Lang Lang to perform the Chinese iconic work, the Yellow River Concerto. Haochen returns to Carnegie Hall for his solo recital debut on November 18. Buy tickets here. Haochen is honored to fill in for Lang Lang at Carnegie Hall next month on October 30. He will be playing the Chinese classic, Yellow River Concerto, with the China NCPA Orchestra led by Lü Jia.